stop dirt and moisture from entering their buildings. 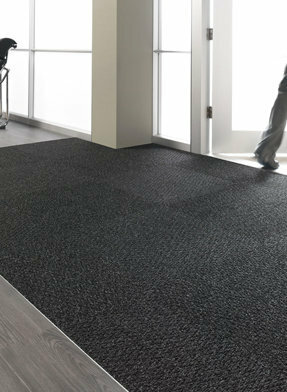 Mats filter contaminants from entering a building saving hundreds even thousands of dollars a year in excessive cleaning costs and damage to interior floor surfaces. 1) Minimize slip and fall accidents (limit liability exposure). 2) Reduce soil and water from coming into the building. Investing in 12' - 20' of high-quality mats at each entry point reduces the amount of soil tracked into a building... by as much as 80%.